Your Memory Foam Mattress Is Too Hot - What Is The Solution? Your Memory Foam Mattress Is Too Hot – What Is The Solution? According to Which?, the consumer rights UK charity, memory foam mattresses are the second most popular type, with nearly a quarter of consumers buying one. This trend is largely to do with memory foam being backed by medical professionals including physiotherapists, chiropractors, and doctors. But is your memory foam mattress too hot? Here we’ll have a look at why the mattresses get so warm, as well as some solutions to this problem for consumers who don’t want to part with their memory foam mattress but want the benefit of a cool night’s sleep. Memory foam was originally designed by NASA in 1966 with the intended purpose of keeping pilots comfortable during flight. In the decades that have followed, it has come to be used for a wide variety of purposes. It goes without saying that NASA’s expert engineering has ensured memory foam is extremely comfortable and saved thousands of people from bed sores and back pain. However, with this feat of comfort engineering, the drawback is the material can cause you to be too hot. Memory foam is made out of viscoelastic polyurethane foam, a synthetic material which allows air to travel through the small bubbles it consists of. This means the material is soft and can be easily manipulated to match a person’s body shape, but also that it is very effective at trapping heat. Essentially, it’s not very breathable. When you sleep on a memory foam mattress, your natural body heat, 37 degrees, will reflect off the comfort layer (top/surface), trapping the heat between the mattress and your duvet cover. This also means that when you get too hot and begin sweating, the sweat isn’t absorbed into the mattress, but collects on the surface. When the sweat collects on the surface, it can give the appearance of your memory foam mattress sweating, making the surface damp to the touch. You can get memory foam mattresses which have a low-density foam, high-density, or somewhere in between. High-density foam is great at providing support for the body, so especially attractive to people with back pain, shoulder pain, and other physical ailments. High-density mattresses, however, are the main culprits of causing overheating. The dense foam does not allow for significant airflow. Medium density foam provides the most balance between coolness and also adequate support for the body, making them the obvious choice for most buyers. Low-density foam mattresses are much better at cooling. The airy foam allows heat to dissipate quickly away, rather than being trapped and reflecting heat back towards your body. Where low-density foam isn’t so great is when it comes to supporting your body, which means it’s likely only a realistic choice for people without any aches and pains but prone to overheating. Memory foam is, of course, a foam, and by nature is an excellent insulator. While it isn’t used across industries for insulation, the physical properties behind foam still apply. Foam is an excellent insulator because it allows for free movement of air through the foam, while also allowing some air to be trapped. This trapping creates a layer of air within the foam, which helps keep heat in. If you’re finding you are too hot in bed, you could be making the problem worse by having unbreathable bedding. Breathable or cooling bedding is usually made from natural materials such as cotton. It’s also advised that you look at the thread count on your bedding, anything over 400 is a no go if you’re trying to stay cool in dreamland. Although everyone’s body temperature should be hovering in the 37 degrees range, some people have slightly higher body temperatures or are quicker to get hot. For example, menopause can cause fluctuations in body temperature, as well as being unwell, diabetes, and thyroid conditions. If you have a medical condition that causes you to have fluctuations in temperature, or if you naturally fluctuate, then you should probably be investing in cool bedding and light sleepwear. In order for you to fall asleep, your body temperature has to drop slightly, inducing sleep. Some studies have shown that having a bath or shower around 60-90 minutes before bed can aid better sleep. This is because when you get out of the water, your body temperature will experience a sudden drop and then continue to drop over a period, triggering you to feel sleepy. However, having a hot bath or shower just before bed will mean your temperature would be higher than it should be as you get into bed. This causes you to feel more awake but also means you’ll be trapping the heat in the bed with you, possibly leading to a hot and uncomfortable night’s sleep. Now we’ve looked at what is causing you to be too hot, it’s time to look at how we combat the issue. In this section, we’ll look at how to cool down a memory foam mattress and what to look for when you buy your next mattress but don’t want to leave behind the benefits of memory foam. Wool bedding is an excellent material to keep cool. Wool is natural, breathable and good at absorbing, meaning it will take the heat away from your body, rather than reflecting it back to you. We alluded to this above, but it’s a very important tip in keeping cool. Wool and cotton are natural fabrics that are great for cooling. If you’re feeling fancy, you can even splash out for Egyptian cotton which is supposed to be more comfortable and cooling, but it’s not necessary. May seem like an obvious one, but the same rules as above apply to clothes. Buy pyjamas made from natural fibres, ideally cotton, and make sure they are loose fitting. Loose fitting pyjamas allow air to continually flow through rather than creating a layer of trapped air between your body and clothes. You probably use a hot water bottle in winter, so why not a cold-water bottle for hot nights? You can fill your water bottle and stick it in the fridge or freezer for a cool sleep (be careful not to leave it too long, not all materials are forgiving to being frozen). These are our top tips on how to keep cool on a memory foam mattress that requires little effort or only minor adjustments to your nighttime routine. If you have eliminated the above solutions, then it may be time to eliminate your memory foam mattress. This isn’t to say you have to give up on memory foam altogether; there are some new cooling foam mattresses on the market. These are specifically designed to aid cooling. The memory foam cooling mattresses use different technology and engineering in order to get the desired cooling effect. Some use foam with a wide bubble lattice, allowing more air to flow through the mattress than standard memory foam would generally allow. Manufacturers have found ways to open up the foam cell structure and also alter the chemical composition of polyurethane by introducing additives to draw heat away from the body. Mattresses are also increasingly being made to include multiple layers, meaning the layers closer to your skin can be soft and allow for more airflow, whilst still retaining firmness in the layers below. This also means you don’t need to flip your mattress, which is one less thing to do in our busy lives. Currently on the market are cooling memory foam mattresses that contain an aqueous gel. The idea behind this is that the gel beads infused into the mattress will be around room temperature, so when you get into the bed, the mattress will appear cool. However, the gel doesn’t stay this temperature, it will quickly rise to match the temperature of its surroundings. This means after 20 minutes in bed, it will rise to the temperature of your body. Consequently, its cooling properties are short lived and there is little evidence it provides cooling throughout the night. Another option some consumers are opting for is plant-based memory foam mattresses. These plant-based foam mattresses are more resistant to trapping heat than your usual synthetic foam mattresses. When it comes to memory foam mattresses, it seems overheating is a natural pay-off for having a well-supported and comfortable bed. This doesn’t mean you should suffer. 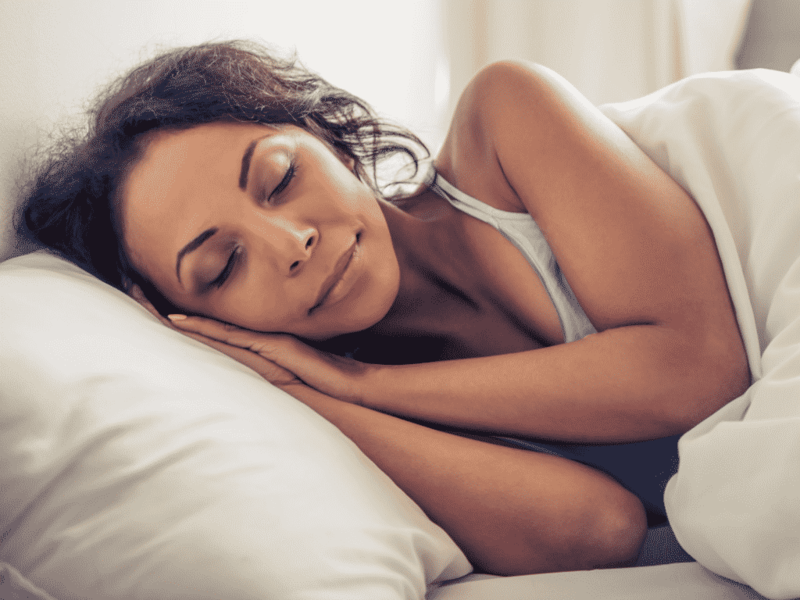 The tips in this list should help with getting a cool night’s sleep for those of you who find your memory foam mattress too hot. As technology continues to advance, we will likely see very effective cooling solutions being engineered, but despite the overheating, it still remains one of the most popular choices for consumers.